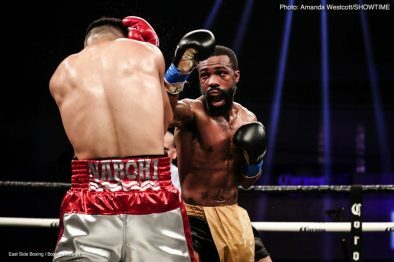 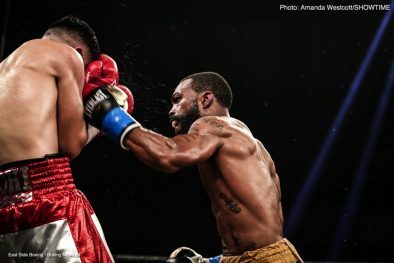 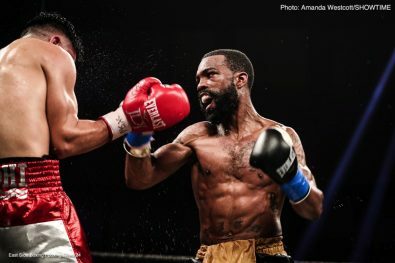 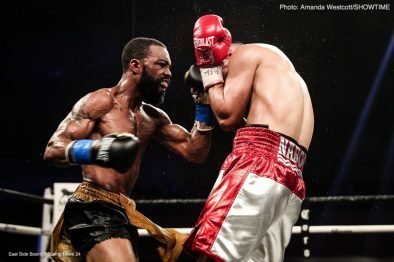 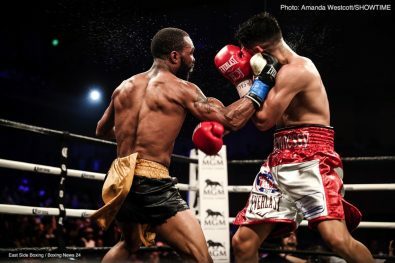 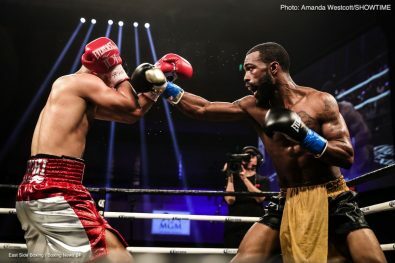 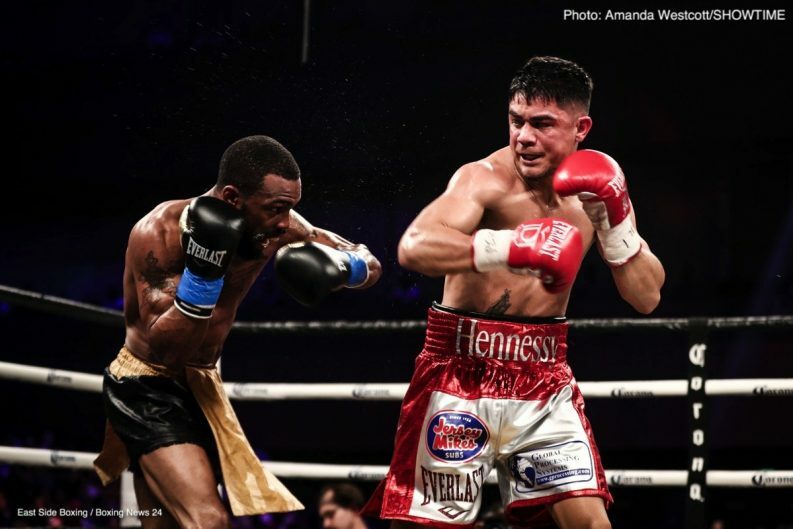 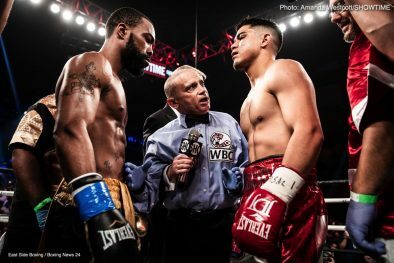 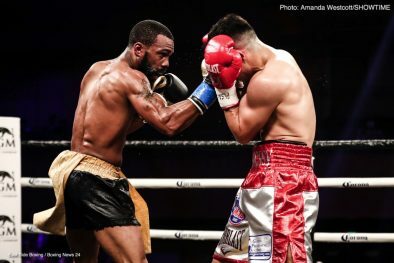 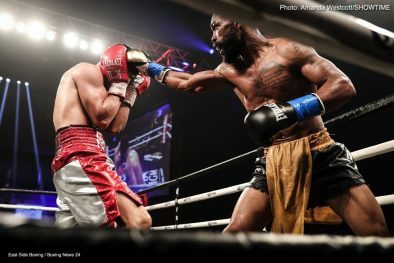 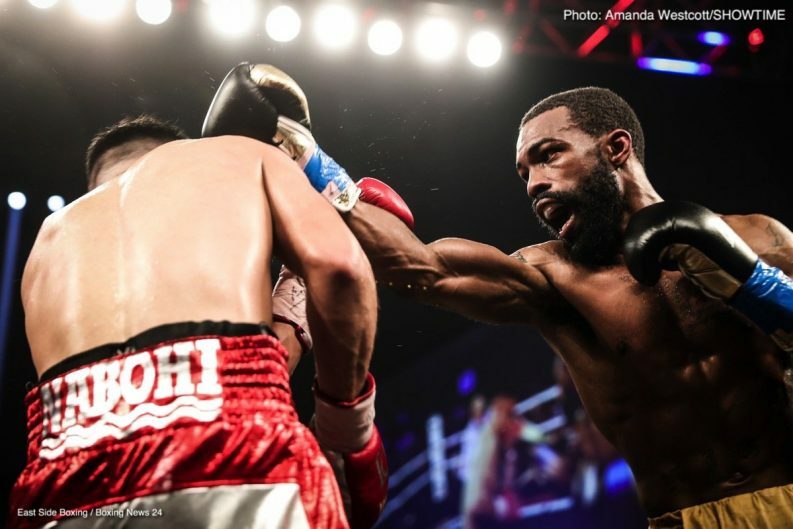 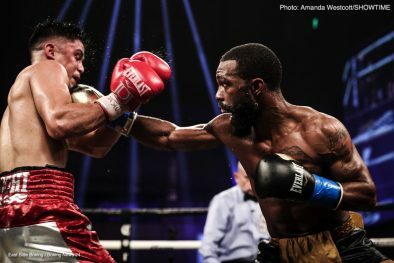 Gary Russell Jr. Outpoints Joseph Diaz Jr. 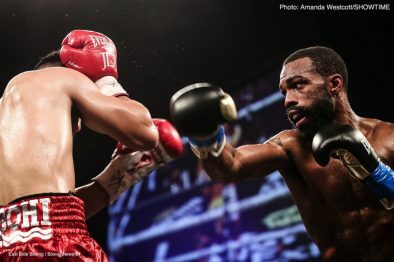 In the main event from MGM National Harbor in Maryland, it was a tactical and hard fought battle of two former U.S. Olympians as Russell Jr. (29-1, 17 KOs) defeated Diaz Jr. (26-1, 14 KOs). 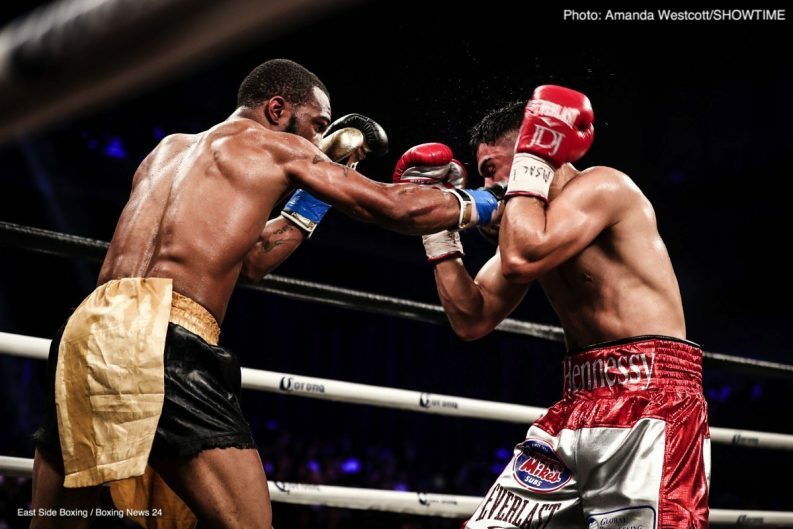 Russell won the contest via unanimous decision, 115-113 and 117-111 twice, to retain his WBC featherweight world title. 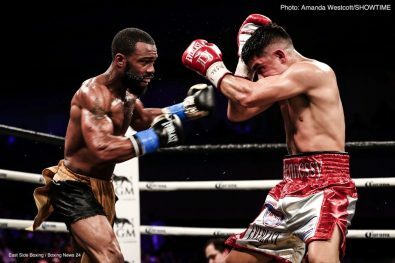 The 29-year-old hometown favorite used his hand speed, quickness and relentless attack to overwhelm Diaz Jr., the previously undefeated top-ranked contender. 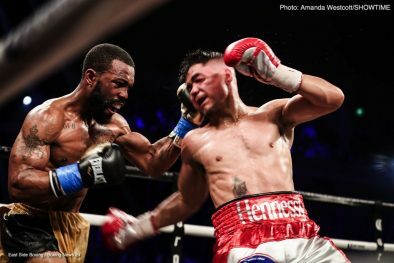 Russell Jr.’s game plan to dictate the pace and establish the jab was clear, throwing a career-high 587 jabs throughout the 12-round battle. 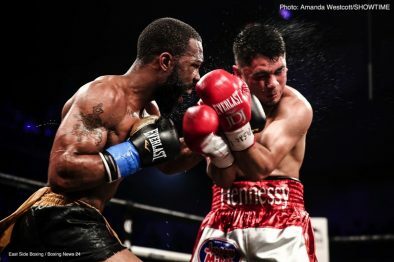 While the number of punches landed were close (199-192 in favor of Russell Jr.), Russell Jr.’s output trumped Diaz Jr.’s accuracy as the champion’s career-high 992 punches thrown were the most ever for him in a CompuBox tracked fight. 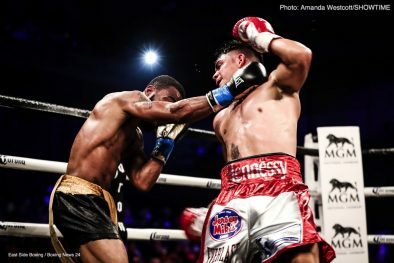 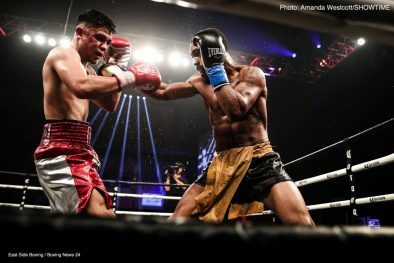 Diaz Jr. was committed to attacking the body of Russell Jr., but he was unable to break the champion down, who injured his right hand in the third round. 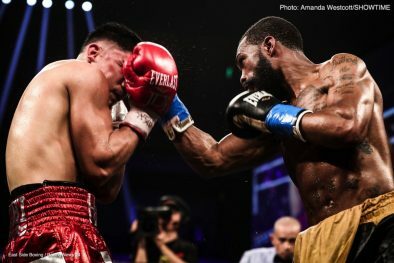 “We train to survive those body shots,” said Russell Jr. “We put the work in every day in the ring. 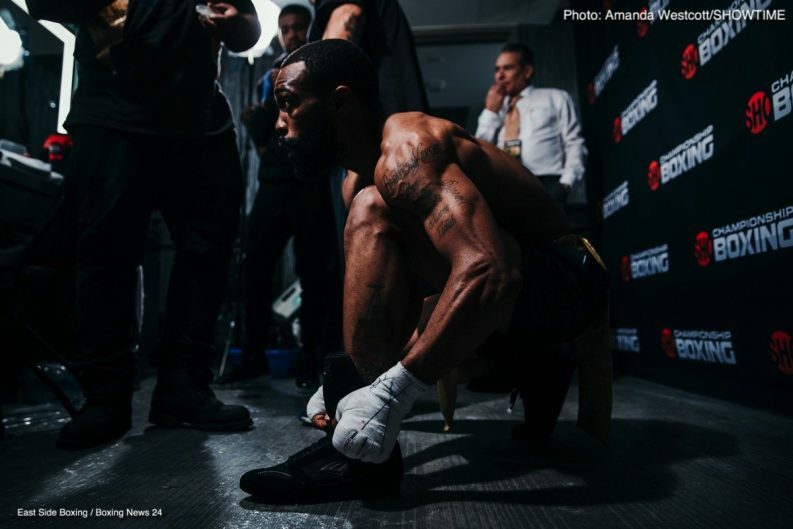 We consistently grind and push ourselves to be great and we push ourselves to the limit. 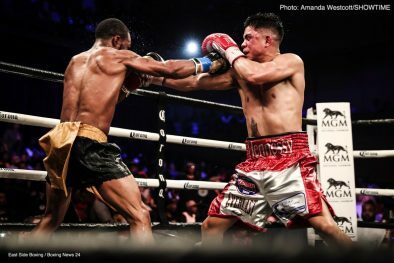 Diaz Jr. showed heart and youthful enthusiasm, closing the fight with a strong final round but ultimately, he lacked the creative, diversified attack needed to truly trouble Russell Jr. 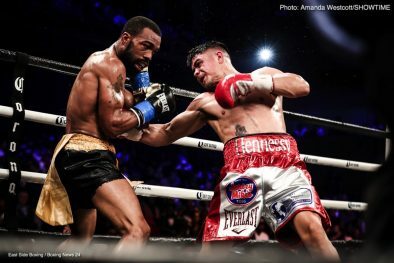 Earlier in the day of in a live stream on the SHOWTIME Sports YouTube Channel and SHOWTIME Boxing Facebook Page, Josh Warrington became the new IBF featherweight world champion by upsetting Lee Selby in a split-decision victory. 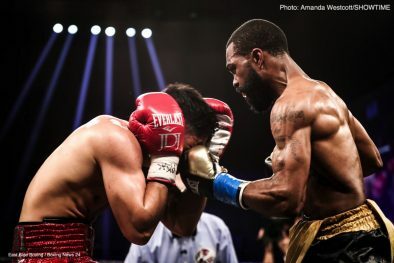 The judges scored the bout 116-112, 115-113 and 113-115. 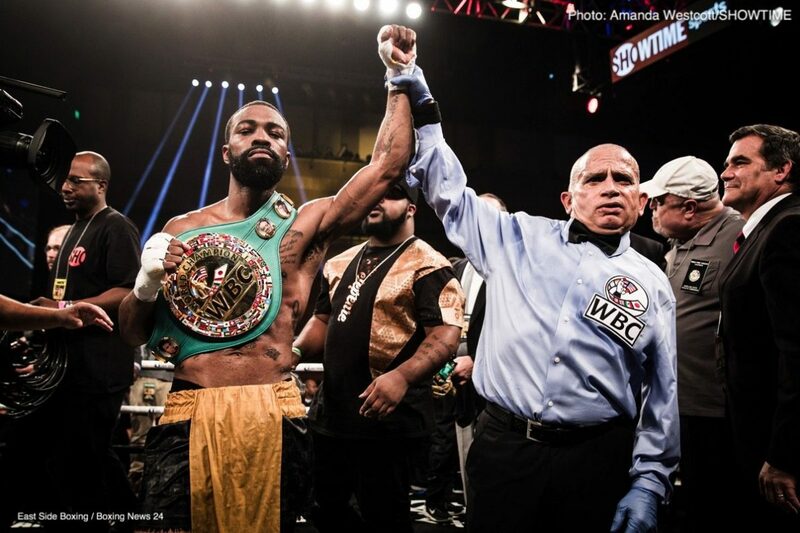 Saturday’s SHOWTIME CHAMPIONSHIP BOXING doubleheader will replay on Monday at 10 p.m. ET/PT on SHOWTIME EXTREME. 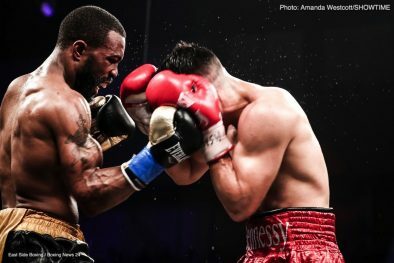 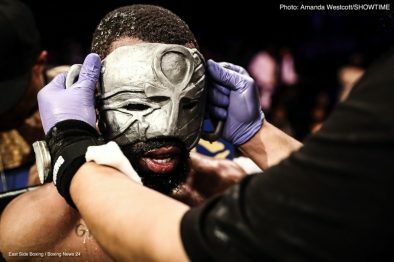 Next boxing news: Adonis Stevenson and Badou Jack give us a FOTY candidate – and they have to do it again! 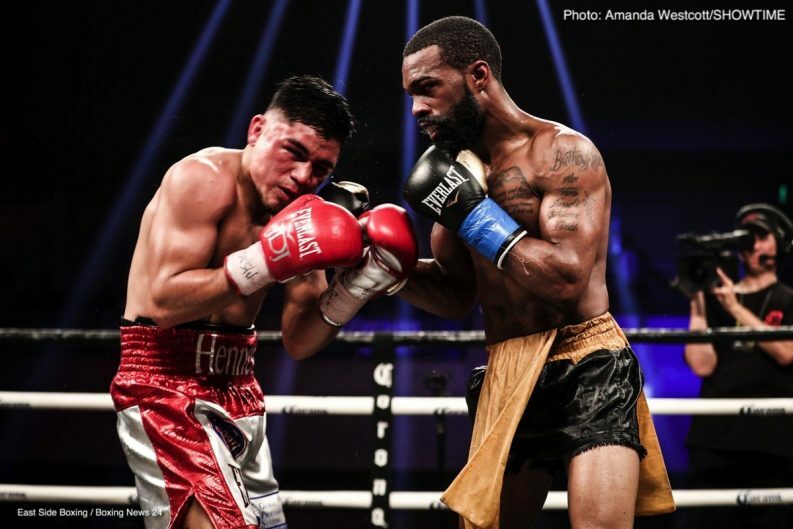 You are here: Home / Boxing News / Gary Russell Jr. Outpoints Joseph Diaz Jr.